In collaboration with Desmond Mason, Anthony Kimball created 3 billboard designs that were located in 8 locations in Oklahoma City and Tulsa in an effort to help persuade Paul George to sign an extension with the Oklahoma City Thunder during the summer of 2018. 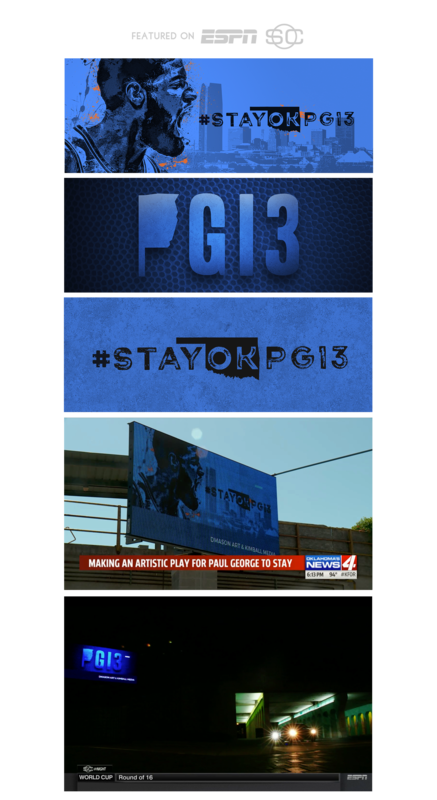 The billboards were featured by multiple Oklahoma primetime news outlets, and were filmed by ESPN to be included in Paul George's 3 part documentary, "Paul George: My Journey." The designs were featured on ESPN's Sportscenter several times over the course of a week while airing Part 3 of PG's documentary series.